Come every Sunday, we will be thinking of family-friendly places to visit and activities that will delight the kids. Now, imagine how it would be like to be able to sit in an idyllic setting of lush gardens, enjoy a panoramic waterfront view, indulge in a luxurious seafood buffet while the kids are being entertained, followed by an afternoon dip in one of the most pristine pools? Yes, heavenly. 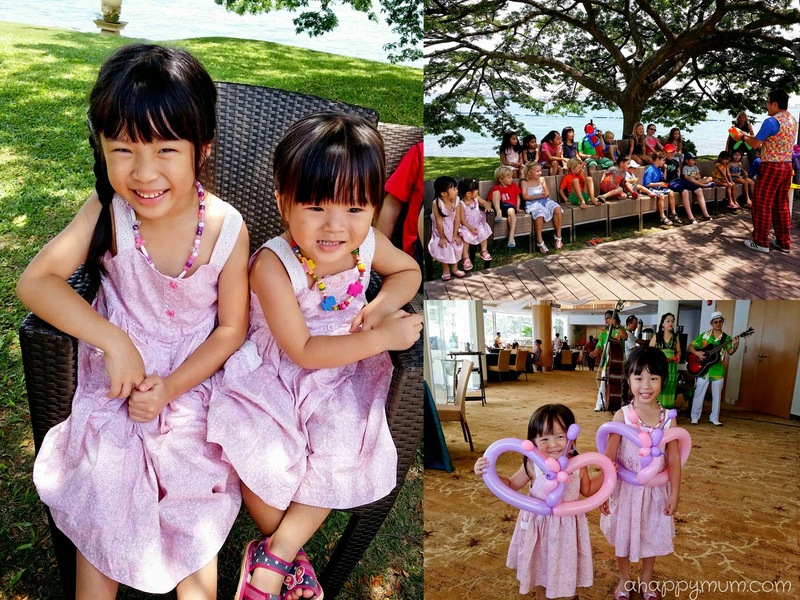 We were invited to the Atmosphere by the sea's Sunday Garden Party at Shangri-La’s Rasa Sentosa Resort & Spa, which I must say felt like one of our most deluxe weekends ever. The Sunday Garden Party is a fun-filled, family-friendly dining package which includes a seafood buffet spread coupled with a children’s buffet corner and activities to occupy the little ones. 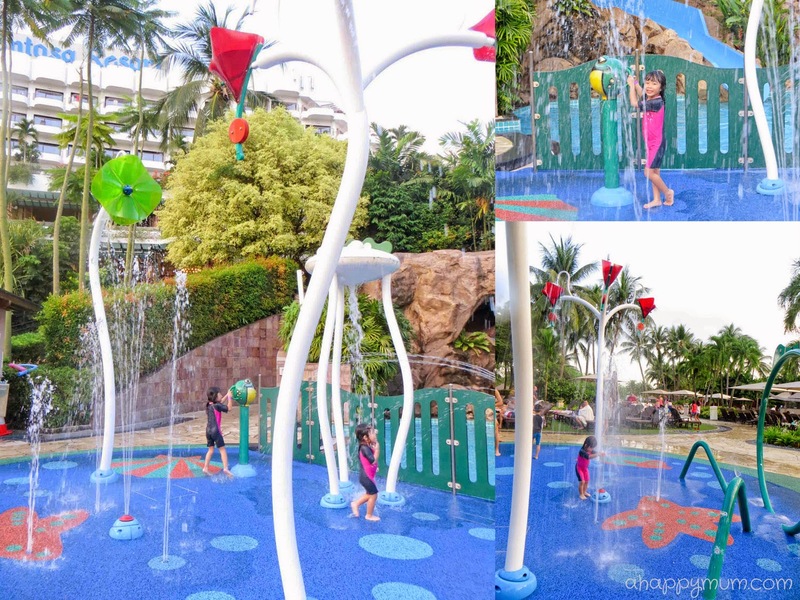 In addition, diners enjoy complimentary access to the resort’s natural water swimming pool, children’s slides and splash pad, and free parking on a first come, first served basis. Now, when it comes to occasions like this, a picture speaks a thousand words so let me show you. Appetisers, soups, pasta, meat carvings, seafood, you name it, you have it. In fact, even for the gourmet cheese alone, you get a selection of over 12 types of them imported from France. There is also a colourful corner for kids who can feast on pasta, nuggets, french fries and even jellybeans! At the meat section, the roasted beef was highly recommended so we had to give it a try though I eventually decided that I preferred the Peking duck. You can also find grilled prawns, lamb and even satay too! 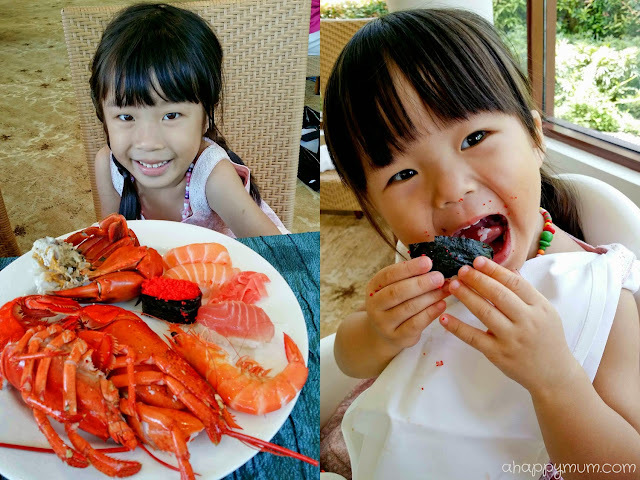 Now if you are a seafood lover, then this will definitely be your highlight of the day! Yes, this seafood corner steals the limelight with its multitude of fresh catches such as prawns, lobsters and king crab legs, oysters, scallops and mussels! Seriously, who can resist this? Even though I am not a seafood fan, I was also blown away by how fresh, juicy and delicious they were. Ok, I gave the oysters a pass because even the best in Europe didn't seem to make me fall in love with them. But the rest of the catches, yum yum. In case you are wondering, the hubby said it was such a pity I missed out on the oysters. He's the one who can differentiate good from bad or average tasting seafood, so if he says it's delectable, you bet you can trust his word for that. I have to tell you that the kids didn't really eat that much because they were too distracted! Live singing, balloon sculpting, magic shows, I guess that accounted for why the hubby and I were able to enjoy our meal in peace while knowing that the kids were safe and happy. But guess what they were most looking forward to? Why, desserts, of course! I totally enjoyed them too and wished I had the capacity for more because I was so spoilt for choice. Yes, I have a sweet tooth! Anyway, a downpour came shortly after we finished our meal, much to the dismay of the kids who were eager to go for a splash after they had a caught a glimpse of the pool. Not wanting to disappoint them, we decided to hang around in the Children's Club - Cool Zone, which is the largest children's club you can find in a hotel in Singapore. An hour later, the skies cleared up and you bet these two were jumping for joy even though they had skipped their naps! The kids totally adored the slides and went on them dozens of times. Ariel found the courage to ride alone and Angel was brave to finally try going down in 'superman' style! Now, it was all good to see them enjoying themselves but what was even more comforting to know was that all the swimming pools adopt a particle physics based water management system which maintains water in a natural and healthy form. This reduces chemical backwash and significantly minimises undesirable chlorine-related health side effects including dry skin and sore eyes. Now, that's something I appreciate about the hotel doing its best to ensure the comfort of all guests. Even the three water slides had canopies to protect the little ones from the sun! Not surprisingly, the kids were so delighted that they couldn't really bear to bid farewell when we had to leave. Well, we could only promise them that we will be back someday so that we could have another awesome Sunday Garden Party again! The Sunday Garden Party at Atmosphere by the sea is available from noon to 3 p.m. at S$138++ per adult. 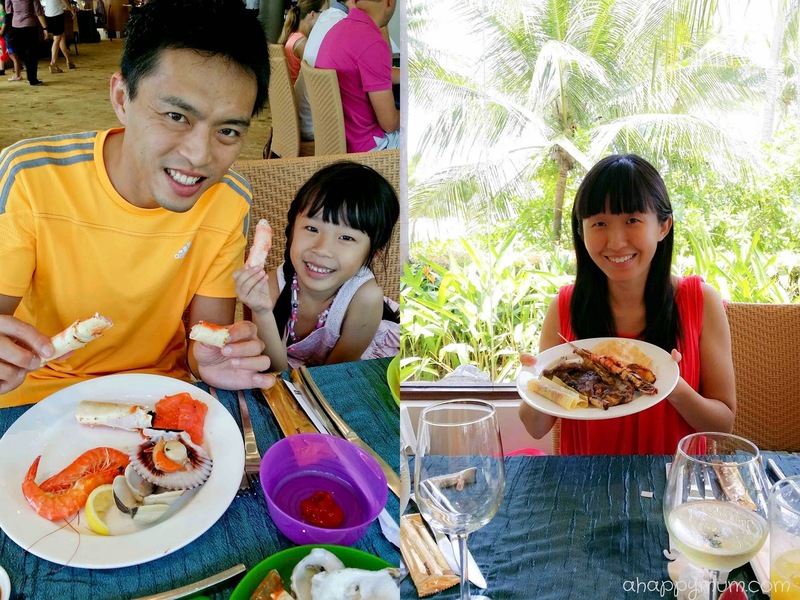 One child below 12 years dines free with every paying adult, and S$28++ applies for each additional child (including free-flowing soft drinks and juices). Disclosure: We were invited by Shangri-La's Rasa Sentosa Resort to experience the Sunday Garden Party at Atmosphere by the sea. All opinions are our own.